The Karlsruhe was launched in 1927 and carried 635 men including 30 officers. Photo Source: U.S. Naval History & Heritage Command. 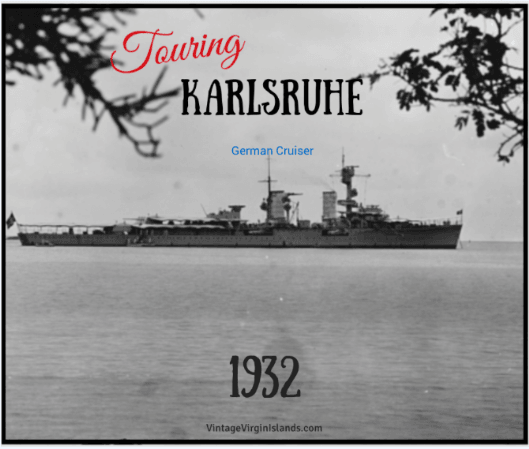 Touring the historic cruiser, Karlsruhe was a thrill for many in the Virgin Islands! Our family was fortunate to have had a look inside the Malakka in 1914 and the Horst Wessel in 1938, among others. 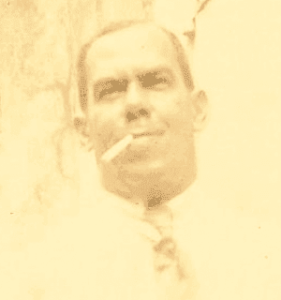 But in October 1932, Mr. E. Vanterpool had the pleasure of visiting this cruiser and shared his experiences in the local paper. When he arrived at the wharf, he couldn’t believe how many people wanted to visit the ship! Big, little, rich and poor, crammed the launch on the three trips it took from the dock! After boarding the cruiser, he noticed a group of Chinese sailors ironing their clothes. When the local women that accompanied him saw them too, they chuckled. They watched in amazement as each sailor took a mouthful of water and spit it out in very fine drops, making the funniest sound in the process. The cruiser was named for the second largest city in southwest Germany. Karlsruhe meant “Charles’ repose”, referring to Charles William, the city’s founder. 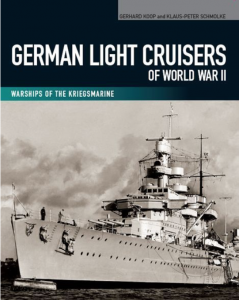 At the end of every year, the German Navy sent the training ship abroad on long training cruises. They learned seamanship, navigation and military drills. When they arrived in St. Thomas, they were surprised to find a welcome letter published in the newspaper. It was written by Mr. J.P. Gimenez, a well-known author and poet. “As ardent admirers of German efficiency, initiative and culture, we are today glad to see our beautiful harbor graced with the presence of your trim cruiser. Acting Governor, Morris de Castro exchanged friendly formal greetings and entertained the officers at Government house. Being excellent marksmen, the sailors were invited to participate in a friendly competition with the St. Thomas Rifle Club, which they all enjoyed. As a courtesy, the cruiser’s band performed a beautiful concert in the Emancipation Garden. Crowds of onlookers enjoyed the sweet strains. At the end, a lusty ovation by the throngs and the tooting of car horns concluded each song. The concert was broadcasted through the local radio so that fans at home could enjoy the concert too. 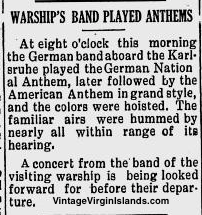 With the assistance of Bandmaster, Alton A. Adams, they played both the German and American National Anthems to everyone’s enjoyment. Hit with two torpedoes, she was unable to return to port and had to be scuttled. Fortunately, all of the crew were rescued. 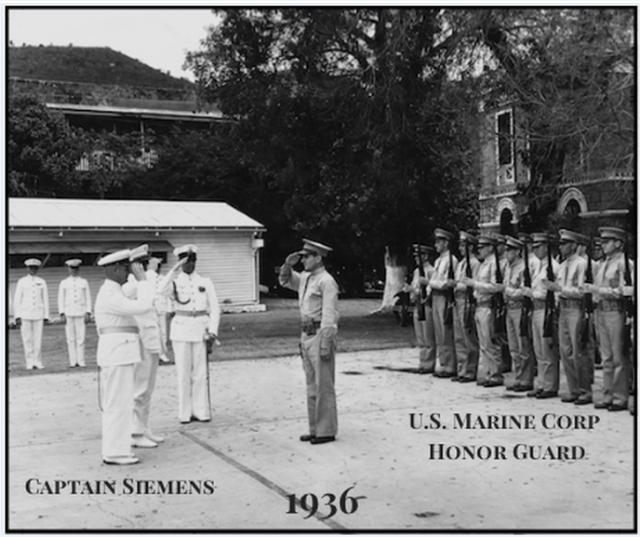 During the cruiser’s nine day visit to St. Thomas, the sailors were commended for their politeness. All who toured the ship and enjoyed their concert were pleased with the admirable courtesy shown to them by the officers and cadets. This week marked the 80th anniversary of her visit to our shores.